Have you ever looked down at the dashboard of your Honda HR-V and seen an unfamiliar light with no idea what it meant? Well, you’re not alone. In fact, a number of drivers in the Fountain Valley, Costa Mesa, and Newport Beach area are baffled by the dashboard lights in their vehicles, which is why we’ve created this helpful Honda HR-V dashboard light guide. Here you’ll find descriptions and meanings for several of the most confusing dashboard lights in the Honda HR-V. 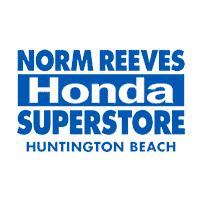 If you need help or have any questions, be sure to contact us at the Norm Reeves Honda Huntington Beach. There are three kinds of dashboard lights in the Honda HR-V. Malfunction indicators signal that a critical problem has been detected. If they remain on after the initial function test at startup or if they come on at any point while driving the vehicle, then there may be a serious problem. The second kind of dashboard lights is condition indicators. More often than not, these lights signal a problem that requires the driver to perform some kind of action. For example, the door/tailgate open light is telling the driver that one of the doors or the tailgate is open and the driver will need to close them before the light will turn off. The final type of dashboard light in the Honda HR-V is an on/off indicator. These lights simply tell the driver when a certain feature has been activated, such as the high beams or a turn signal. Brake system (red): Depicted by the word BRAKE, this warning light could mean a variety of things. Either the brake fluid is low, there’s a problem with the brake system, or the parking brake is engaged. If the parking brake isn’t engaged and you see this dashboard light, have your Honda serviced immediately. Electric parking brake system (yellow): This light looks like the letter P inside a circle enclosed by parentheses. Immediately to the right is an exclamation mark. It indicates that a problem has been detected with the electronic parking brake system. Don’t try using the electronic parking brake and have your vehicle serviced. Maintenance Minder (yellow): Shown as a wrench on the dashboard, this light is used to notify drivers that routine maintenance is needed for your vehicle. Bring your Honda to an authorized service center. Supplemental Restraint System (red): A seated passenger wearing their seat belt with a large circle in their lap depicts this dashboard light. It indicates that a problem has been detected with the seat belt tensioners or one of the vehicle’s airbag systems. Schedule service immediately. If you didn’t find the specific light you were looking for in our Honda HR-V dashboard light guide, contact our service department at the Norm Reeves Honda Huntington Beach. Serving the communities of Fountain Valley, Costa Mesa, Newport Beach, and beyond, well help you decipher the dashboard lights and determine if you need to schedule a service appointment.